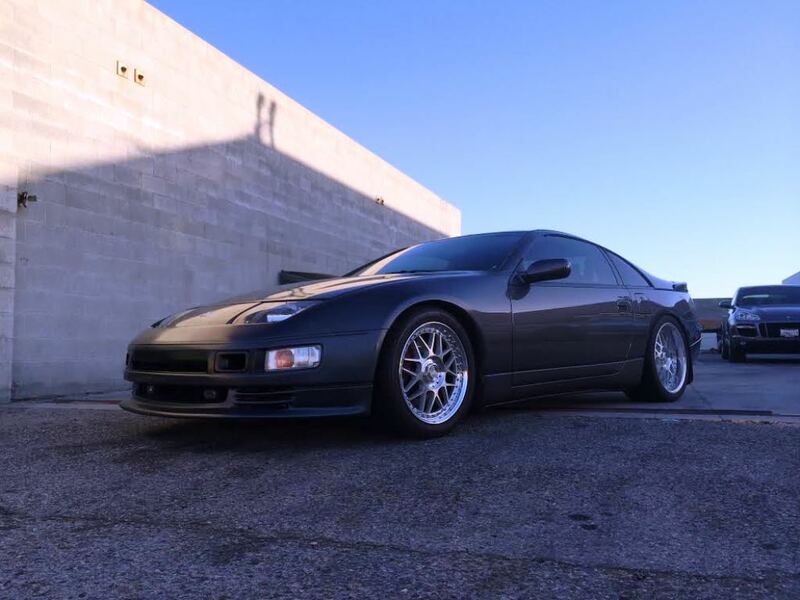 Ken came back from Idaho so we could update his Z32 to run gasoline (92 octane in Idaho) and ethanol (flex fuel). 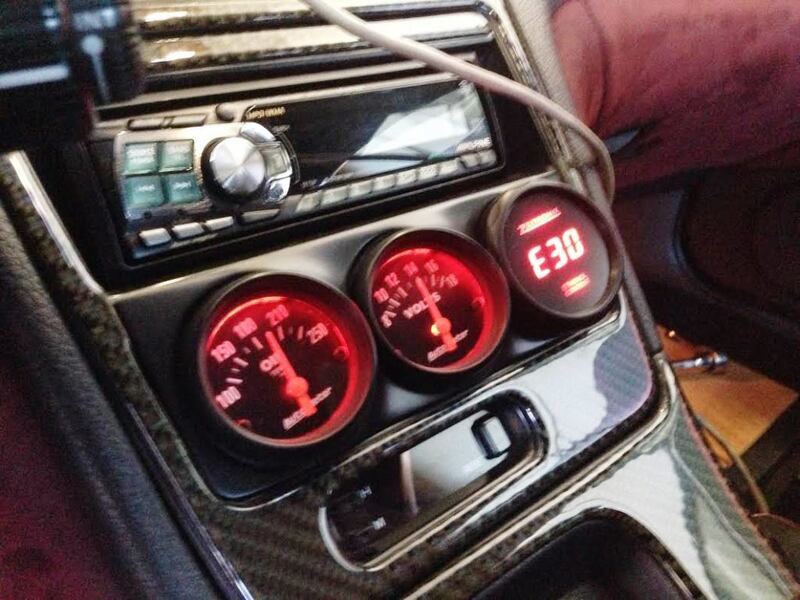 Ken already had our tune switcher built into his Z’s ECU so we made 10% ethanol tunes on his switcher. In the last 4 years no other performance modifications have been performed since we last saw Ken exactly 4 years ago. We upgraded the factory TT pump with a Walbro “485” unit. All fuel lines were replaced and added a flex fuel sensor with a Zeitronix gauge so Ken can monitor ethanol content and make the necessary tune changes. You can see Ken’s previous visit here. List of mods are all in there. Zeitronix gauge fits nicely in the 300 Degree Gauge Pod. 30% ethanol content shown. 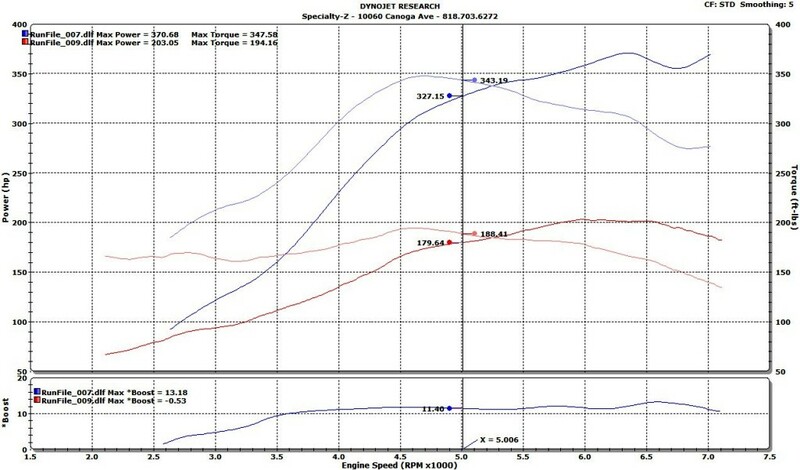 On an 75% ethanol content, 530 whp was achieved. Since Ken runs our built auto a bit more power is lost through the drivetrain. We were able to max out the fuel flow capacity of the Nismo 740cc fuel injectors. 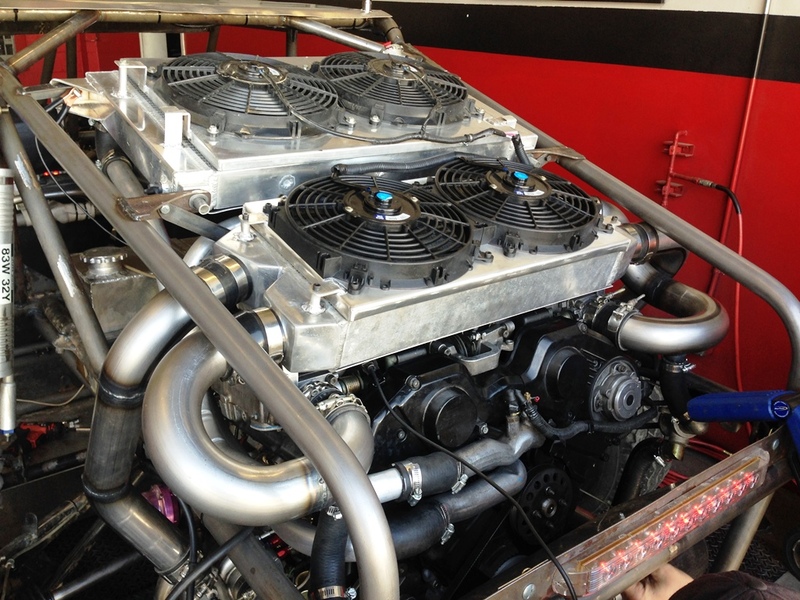 Almost a year ago we tuned Paul’s VG30DE powered sand rail. Just recently he was back with a VG30DETT running a pair of Mitsu TD04 turbochargers. After some tweaks we were able to make some great power. Turbos came off courtesy of a couple of Subarus. 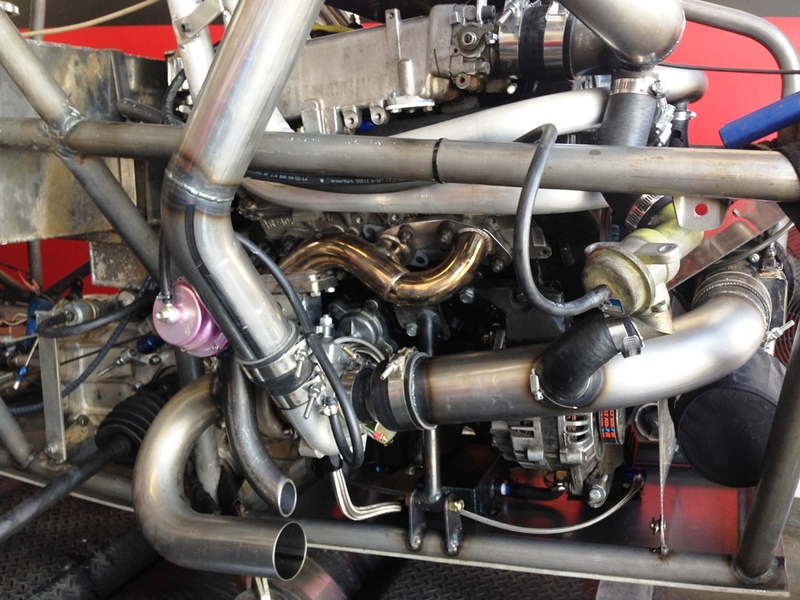 SZ replica inconel exhaust manifolds. 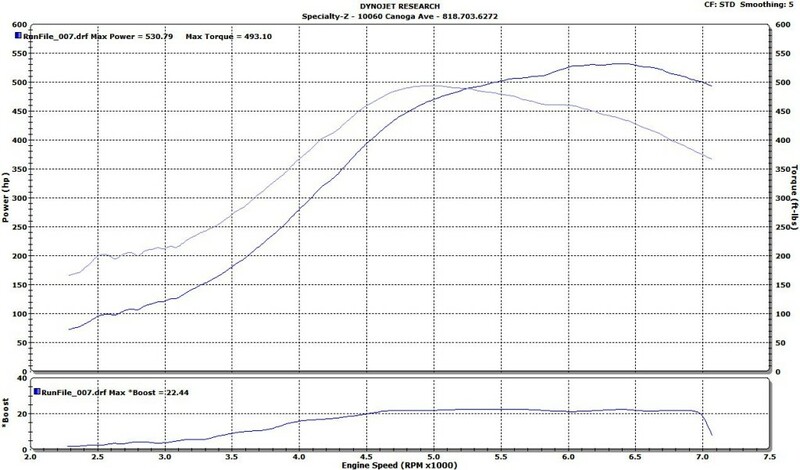 Externally wastegates, a Greddy boost controller, and stock recirc valves are used for boost control. Intercooler and radiator mounted right above the engine. I think Paul will notice a “dramatic” difference between the naturally aspirated engine and its TT’ed brother. 160 torque gained and 140 whp.